Here’s another snippet from one of our training sessions over at the TSE Hustler’s League. 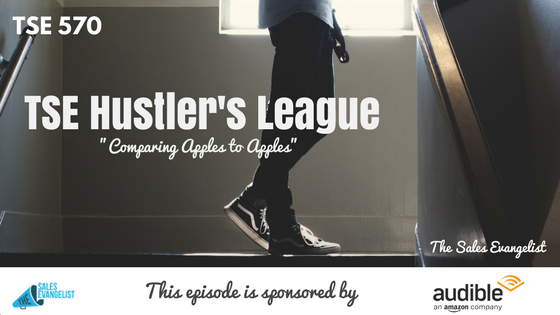 This is actually part two of last week’s episode where we talked about demonstrating ROI’s. Today, we’re going to show you how you can apply this to your own sales process. The purpose of the initial meeting is to figure out the budget they’re working with to give you an understanding. In the next meeting, you have to be able to build value, understand what their main challenges are and what they’re trying to do. And then put their ROI based on that. Based on initial assessment, come back with an ROI figure. With that financial calculator, you can come back initially and be able to be more specific with ideas you can support them with. Allocate resources to see what the true ROI would be for you. Maybe they can have a team member that can get to the proper figures or evaluations you need. Be upfront and truthful with them regarding the initial cost they could incur. Bring as much as you can to the table. This is your strategic return on investment which refers to decisions the company has to make for regulatory compliance or to avoid the risk of becoming non-compliant. The second type of a strategic R refers to the decisions they make in favor of a strategic decision. For example, the company is creating a new product line to get more market share and you find out that’s their goal, then you can build the case around that strategic R.
You often see this in a lot of B2B transactions such as the financial impact your customer will acknowledge or quantify. A vast majority of B2B business decisions are based on this. For instance, how do you come up with a project that has hard returns that you’re able to follow the flow of money and identify areas that are going to impact. This is what most salespeople lead with. Although harder to quantify, they’re still important. For instance, Facebook and Apple made a soft R business decision, offering to pay egg-freezing for their employees in order to increase the retention rate of women employees. What they realized is that many companies in Silicon Valley have women working who end up leaving the company due to the work situation being hard on a family. They know people are going to work hard and long for them by providing these incentives. These are soft R’s because it can be hard to measure that. The soft R can be appealing and good but make sure you lead with a hard return, something they can see figures on and then supplementing it with a soft R.
Think about the three different types of R’s in your business. What are your strategic R’s? What are some of the compliant stuff you must do? Think about some of the hard R’s and some of your soft R’s. 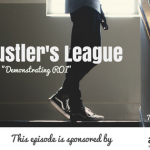 Join our group at the TSE Hustler’s League.